Queens Day (Queen Beatrix’s birthday) in 30th April 2005. A mad day where many in Holland dress in orange and come to Amsterdam to drink and party! 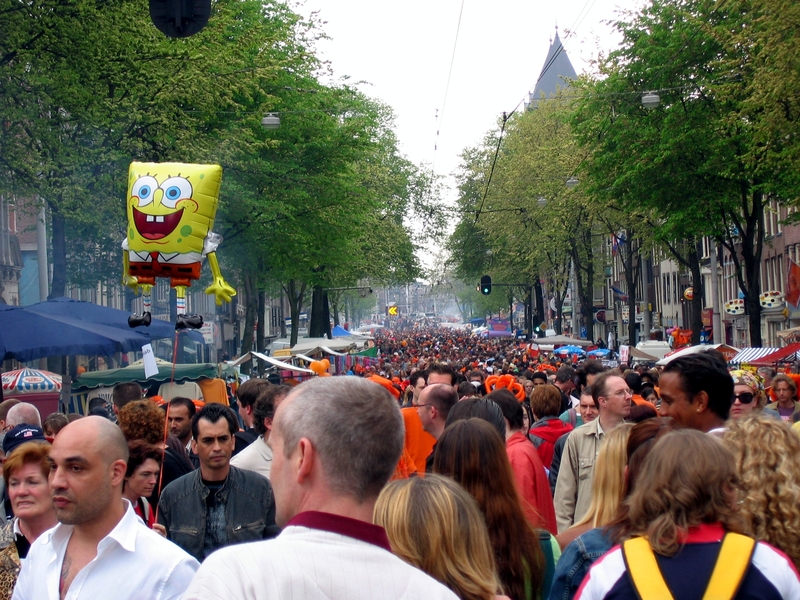 As you can see, there are thousands of people (and Sponge-Bob!). Many take to the canals in boats, drinking their way along! Its a total log-jam. That’s Jo and myself in the picture on the left, in case you hadn’t guessed! A great weekend and great to see Neil & Clare again (thanks for the pictures).